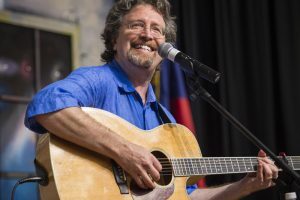 I am impressed with the knowledge Chords of Courage brings regarding our core standards, and their innovative teaching methods, including the presence of an award winning songwriter and exciting group leaders. The students were thrilled to be involved. Frederick County students Step Up! and sing out. Chords of Courage is proud to announce that its song “Marching Feet Can Make It Right” was a winner in the Great American Song Contest. Congratulations to songwriter and Chords of Courage CEO, Caron Dale. You can hear the award winning song here. “I’ve never really written a song before,” said Vivian Renkey, the 12-year-old seventh-grader at Monocracy Valley Montessori Public Charter School. Still, that didn’t stop her from becoming one of four finalists in the Step Up! Frederick Student Songwriting Contest. Few things are as heart-warming or inspiring as listening to children sing. 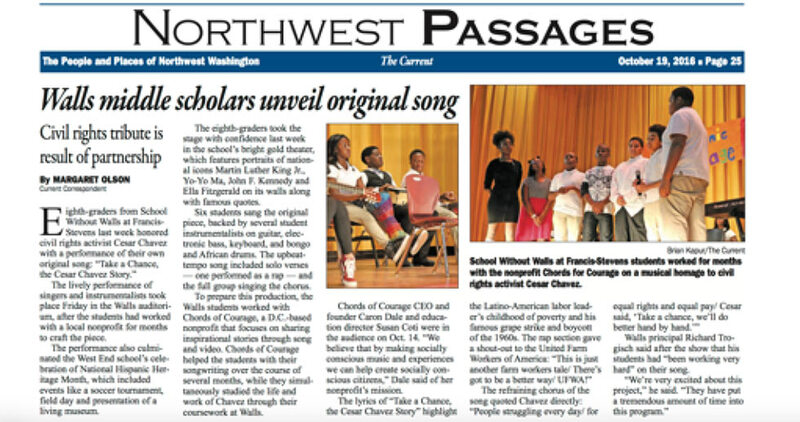 A nonprofit group, Chords of Courage, is elevating that experience to include children writing their own songs. Called the Step Up! Frederick Student Songwriting Contest, the winning music by local high school and middle school students will be performed in concert at Frederick Community College’s Jack B.
Ms. Benedick and Ms. Carpel brought non-profit Chords of Courage to work with a group of sixth grade students. In the Social Studies curriculum, students are learning about Civil Rights Era. The group researched Civil Rights leaders, and decided to write their song about Odetta, who is considered the voice of the Civil Rights Era. Their song, “Singing with Odetta,” tells the story of discrimination she faced as a teenager and her response to it. They performed it for the whole sixth grade, to robust applause. 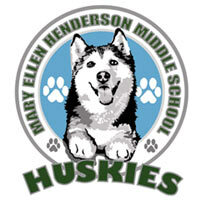 Working with songwriters, students were inspired by the project to start an anti-discrimination and anti-bullying campaign at MEHMS. Chords of Courage will present the inaugural STEP UP Frederick! Student Songwriting Contest in Frederick County. 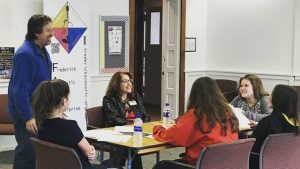 Using songwriting as a catalyst for social change, the contest encourages middle- and high-school-aged students to write compelling songs about people of particular courage. This song written by Chords of Courage songwriter and founder Caron Dale about Congressman John Lewis and the March on Selma, was featured on WPFW radio in Washington DC on Dr. Martin Luther King Jr.’s birthday. Chords of Courage was honored to debut their song, “We Are Malala” at the Norwegian Embassy in Washington, DC. The Ambassador’s wife, Cecilie Jorgensen Strommen introduced the performance by informing the audience that the Norwegian word fo “to vote” is the same as “to have a voice.” Malala Yousafzai, the Pakistani teenage girl who was shot in the head by the Taliban while on her school bus, has used her voice for years to advocate in support of schools for girls. “We Are Malala” is a powerful song about her tribulations and incredible courage. Chords of Courage’s Caron Dale performed the song she and Laura Baron wrote at the Embassy’s event marking the 100th anniversary of Norway becoming the first country to provide women’s right to vote.